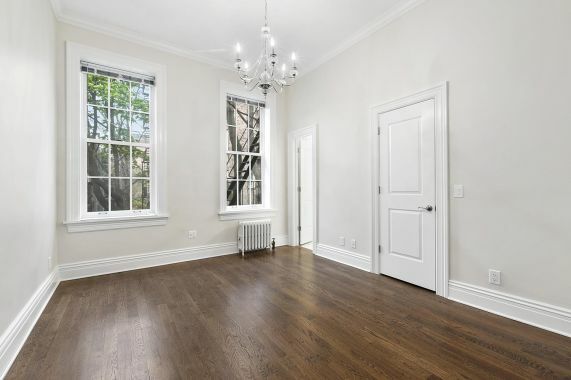 .This stunning, one bedroom floor-thru apartment has fabulous 11.3 feet high ceilings, two chandeliers, and a decorative fireplace. 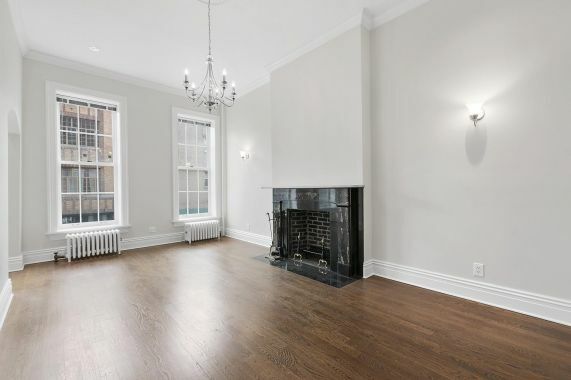 Located in the heart of the Village in a discrete boutique Townhouse it is pin-drop quiet with double-pane, city proof windows. The windowed designer kitchen has stainless steel appliances, including a dishwasher and has room for a small breakfast nook. 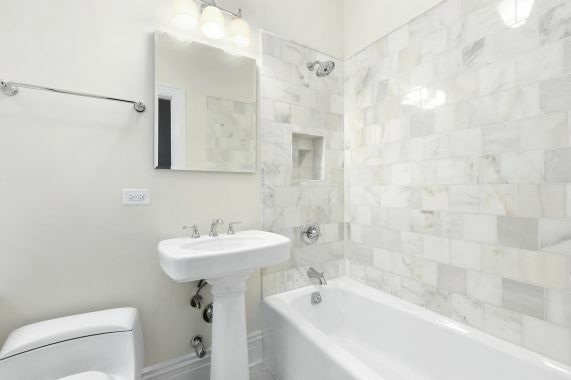 The white marble bathroom has a soaking tub and there is also a WASHER DRYER and great closets including a walk-in. This apartment has a video intercom and is one easy flight up on the second floor. Available for May 1st move in. Sorry no pets and it is a non smoking building.